I like to break the rules. Actually, scratch that. I like breaking cooking rules (in other areas of my life, I am sooo not a rule breaker). I like to try new flavor combinations and eat cookie dough out of the bowl. 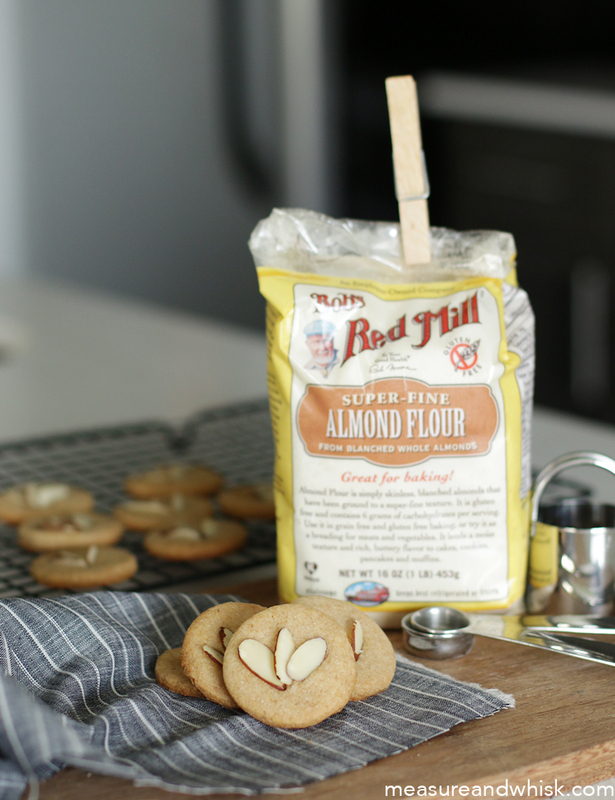 I like licking my knife after scooping the peanut butter, and I like using Bob's Red Mill almond flour in a non-gluten free setting. I totally understand that there needs to be a gluten-free section of the internet, and I love gluten free recipes, but I am not gluten-free cook (I feel lucky that I don't have to be). 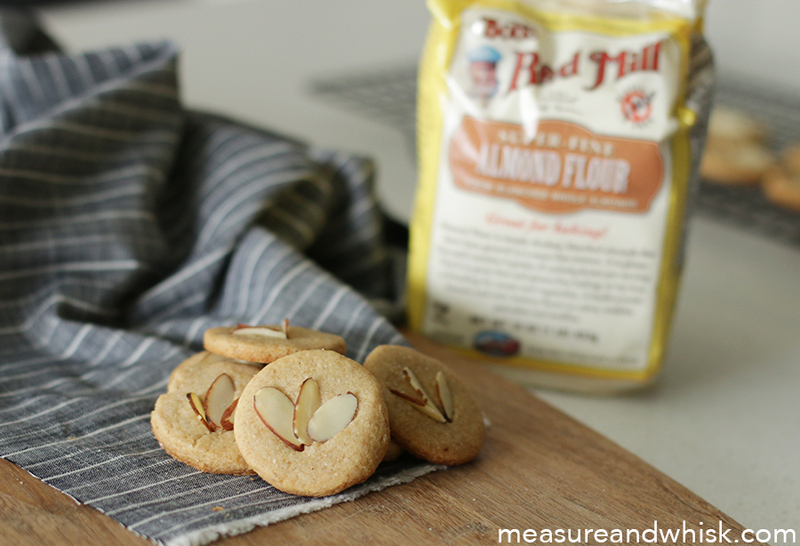 Sometimes, I just like to add a new and fun element, like almond flour, to my cooking. That is what happened here. A few weeks ago, I decided to rework my honey graham cracker recipe (not that they needed reworking. They are incredibly delicious just the way they are. I just wanted to try something different), and after some experimenting, I ended up with this fabulous recipe! When I made my first test batch, I dropped a few off with Adam at work, and as I was leaving his office building, I got a text message from him saying that if I had brought him 20 of them, he would have eaten them all right then, because they were so delicious. And they really are. Buttery, crisp and melt in your mouth, they are incredible. Turn your oven to broil. 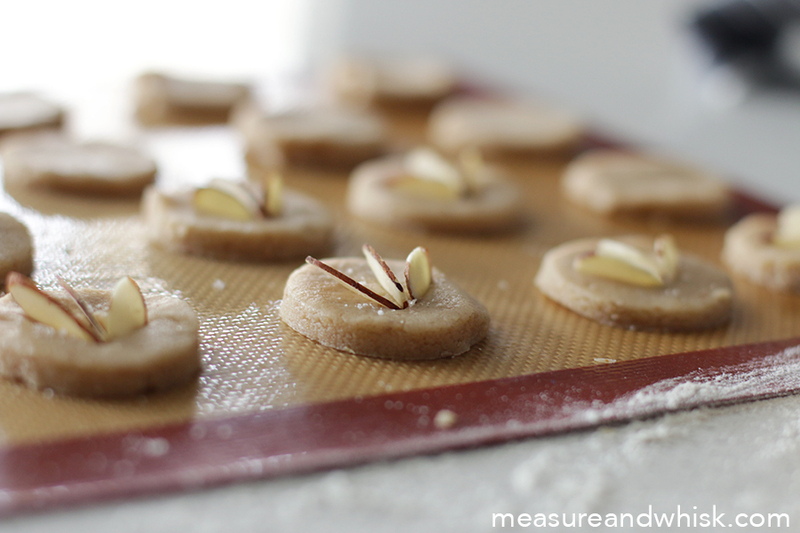 In a small pan (I used a 9" cake pan), spread your almond flour into a single layer. Toast it for 4-6 minutes, or until it begins to turn golden brown. 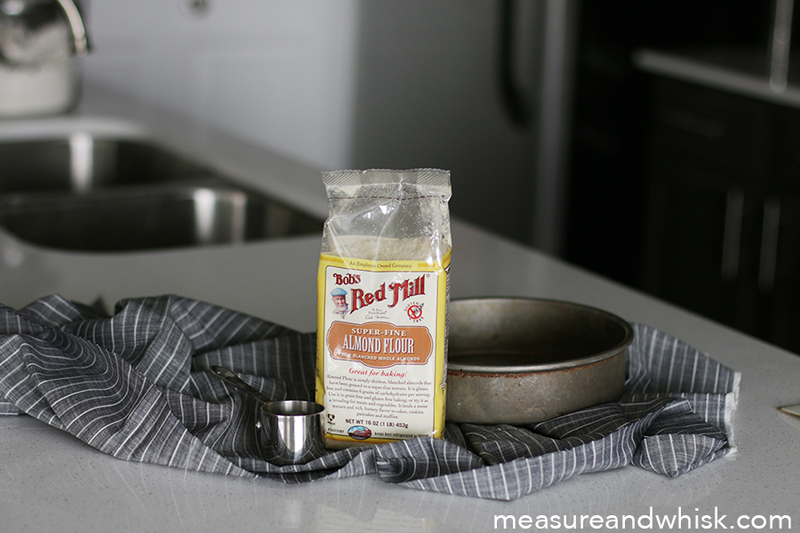 While the almond flour is in the oven, combine the all-purpose flour, the wheat germ, salt, baking soda, cinnamon and cardamon in a medium-sized mixing bowl. 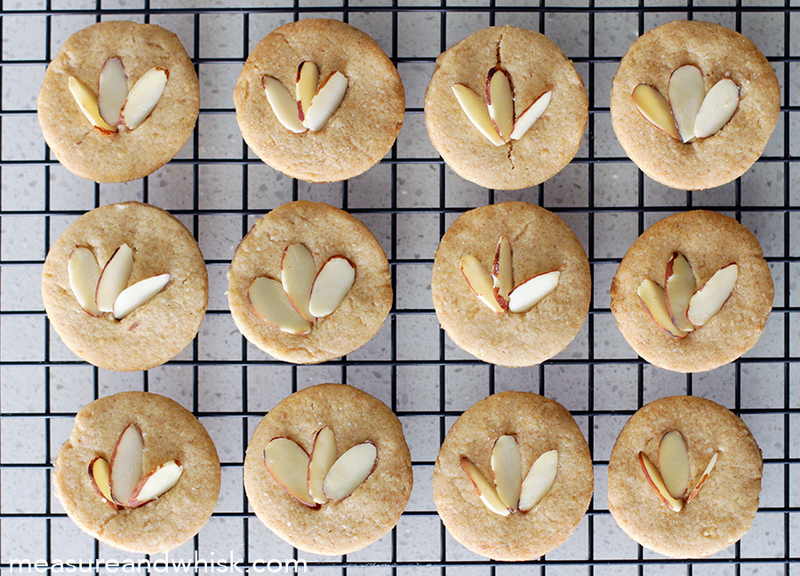 Once the almond flour is golden, pull it out of the oven, and add it to the flour mixture, and stir until it is well incorporated. In a stand mixer, combine the softened butter, sugars and syrup until smooth. In two or three batches, add the dry ingredients to the wet ingredients, and stir until just combined. Let the dough chill in the refrigerator for 30 minutes. 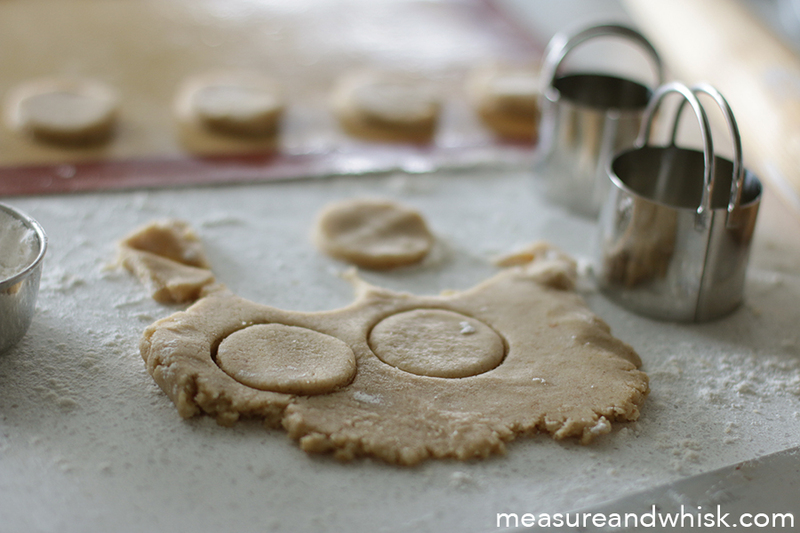 Once your dough is chilled, place it on a clean, floured surface, and roll it out into a 1/8" layer, and cut out the cookies in the shape of your choice. 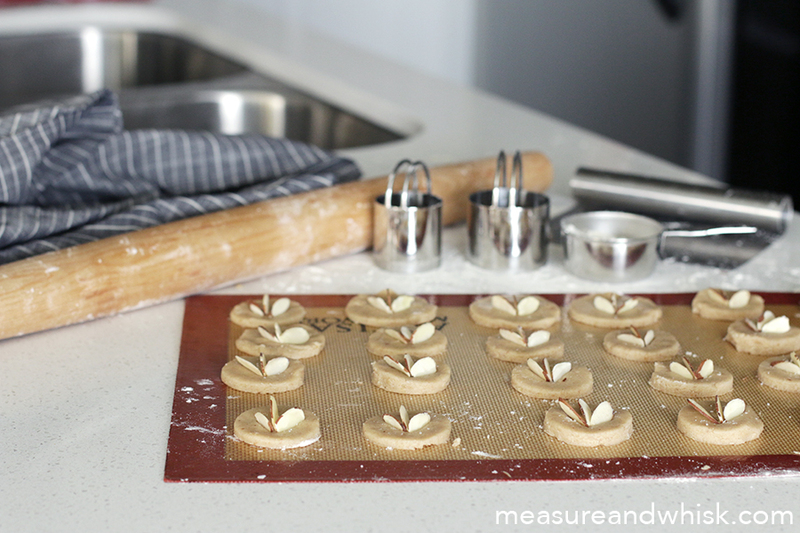 Set each cookie dough shape on a cookie sheet lined with parchment paper or a silicon mat, about 1" apart from each other. Top with sliced almonds and sea salt. Bake for about 10 minutes, or until the edges are just starting to turn golden. Do not over bake. Transfer the cookies to a cooling rack and let cool for about 5 minutes. Try not to eat them all in one sitting. Good luck, I don't think I have ever had the restraint to do it. Greetings! I will be making these according to the recipe, but there are times I would like to make them in a Vegan version. Can this be made vegan? Will vegan spread instead of butter work?